How to download apps for your NAO robot using STEMLAB? Did you recently install the latest Choregraphe (2.8.5.10) for your V6 and received this error? Choregraphe-bin.exe – System error The code execution cannot proceed because MSVCR100.dll was not found. Reinstalling the program may fix this problem. There are actually two files you might need to add manually to your system folder in order to get Choregraphe operational again. 1/ Make sure your robot is properly connected to your network (or directly to your computer). If you're not sure, press NAO's chest button once. The robot should say his IP address (write it down, you'll need it). 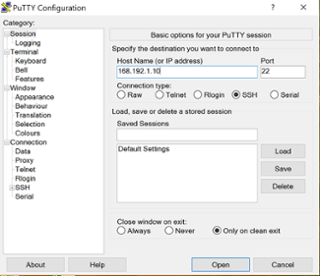 2/ Download and Install the software PuTTY on your computer. You can find it here. 3/ Open the software PuTTY and type your NAO's IP address in the "HOST NAME" field. Confirm by clicking on "OPEN". Don't forget to charge your Nao Robot! So you just received your new NAO robot... the first thing you want to do is charge it for at least 90 minutes. Another tip to keep the battery fresh, you should charge it at least once every 90 days (especially if you are not going to be using it for a period of time). As an example, summertime, when you go on break, charge it before you go and charge it once again when you return, this will keep the lithium ion battery from depleting and good to go. 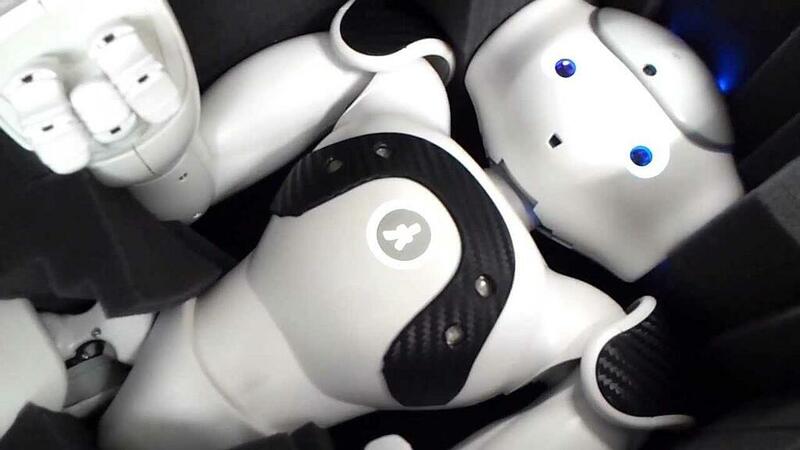 Are you interested in having a Nao Robot? Ask for a Price Quote Request! Disclaimer: The following support solution will erase the memory on NAO. Make sure you are familiar with disc formatting and know/follow the directions before attempting the following. If you have questions, contact us before attempting this solution. You just received your NAO and you're very excited to discover all it can do and how to use it. You are following all the steps to get started. The NAO has just registered to the basic channel and it's now ready to engage and interact with you. He's looking at you and you ask " Hello NAO, what can you do ?" The robot looks at you and ignores you . You try again " hey NAO, what can you do ?" ... nothing. As if you were not here. You try another sentence "What's your name?" .. silence, nothing. How frustrated this can be, it's new and already broken. What's wrong with its microphones? [Support] NAO says: "Error 501, I can't connect to Cloud services, my system date is wrong"
If you are getting a “Error 501, I can’t connect to Cloud services, my system date is wrong” this is most likely an indication the the head battery is depleted or dead. I need help resolving it! 3/ Open the software PuTTY and type your NAO's IP address in the "HOST NAME" field. Confirm by cliking on "OPEN". If you get the PuTTY security alert window, just click on YES. If you’re unable to find an answer on our website, fill out the form below to start a ticket. We normally aim to respond to all emails within a few days. Our support engineers are standing by to help.